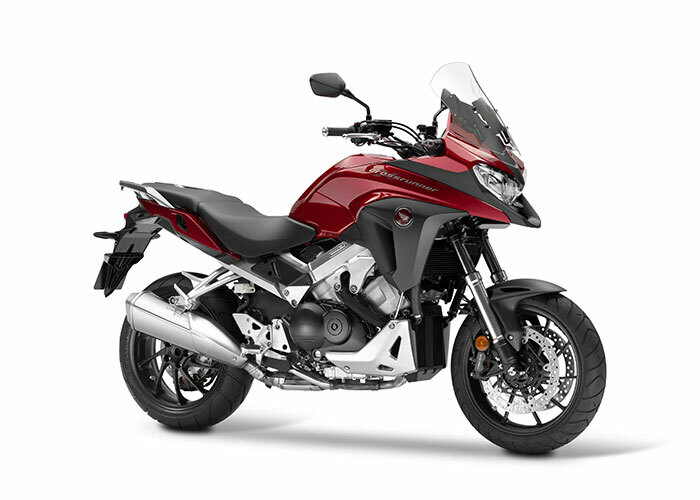 Honda’s premium adventure sports tourer is designed to deliver hard-riding touring excitement. 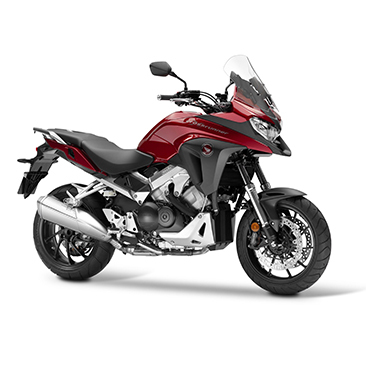 It features substantial mid-range torque and top-end power from its V4-VTEC engine, sharpe adventure styling plus a comfortable ride wthlong travel suspension and ABS as standard. 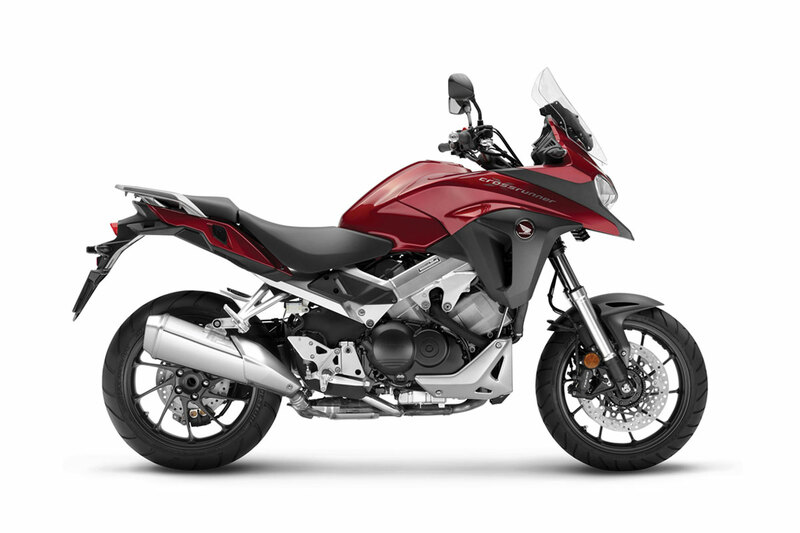 The VFR800X offers an adjustable seat, 5-stage heated grips and Honda’s self-cancelling indicators are both fitted as standard. Full LED lighting adds a distinct presence and premium finishing touch. Seat height can be adjusted to either 815mm or 835mm to help suit a wider range of riders, making ground reach easier and provides greater comfort whilst the upright riding position gives the rider great all-round visibility. There is a 5-stage adjustable windscreen for optimum weather protection. Combined with the comfortable seat and footpeg positioning, the wide new 683mm handlebars put the rider firmly in control and ready to attack any corner. The VFR800X Crossrunner is easy to handle in all situations and quick to respond to more aggressive rider input whether carving through twisty mountain roads or riding through the urban jungle thanks to the extra leverage and low yaw inertia. As important as the agile chassis, a willing and responsive powerplant is a major part of the VFR800X Crossrunner’s appeal. And its 782cc, liquid-cooled 16-valve DOHC 90° V4-VTEC engine serves up improved performance and now generates more low-to midrange power and torque. Bore and stroke is 72mm x 48mm, with compression ratio of 11.8:1. The PGM-FI fuel injection – with 36mm throttle bodies – has been remapped to suit the engine’s new performance parameters and fuel economy. The new mass-centralised 4-2-1-1 exhaust has been revised both externally and internally to assist the uprated torque output while retaining a strong rush of power at higher rpm. Shorter exhaust downpipes ensure the catalyser heats rapidly for maximum efficiency. The dual radiator units are small, with increased core density (a design used by the RVF RC45 homologation race special) and are sited at the front of the engine rather than either side, making for a slimmer feeling motorcycle that’s easier to manage. The upper radiator and air guide (located on the left of the engine) work together to channel consistent airflow into the large funnel feeding the airbox. 2,190 x 870 x 1,385mm with windscreen in lowest position, 1440mm with windscreen in highest position.